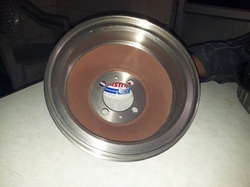 Leading Manufacturer of brake drum for bajaj r-e, mahindra maxximo brake drum, e riksha brake drum, brake drum coupling and tata ace spares from Rajkot. 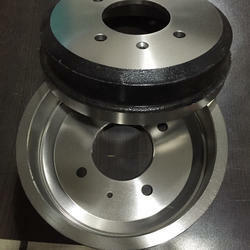 Utilizing the most modern technology and latest machinery, we bring forth the wide array of Brake Drum Coupling. The offered drum is manufactured with the help of supreme quality metal and contemporary moulding machines under the surveillance of strict engineers. 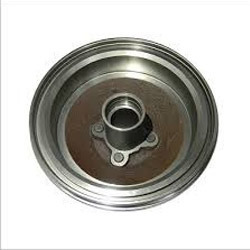 Our offered drum is made available in number of sizes and shapes to meet the vast and exact requirement of our valuable clients. 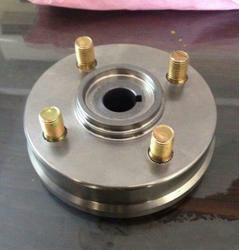 We offer this drum to clients at pocket friendly price.